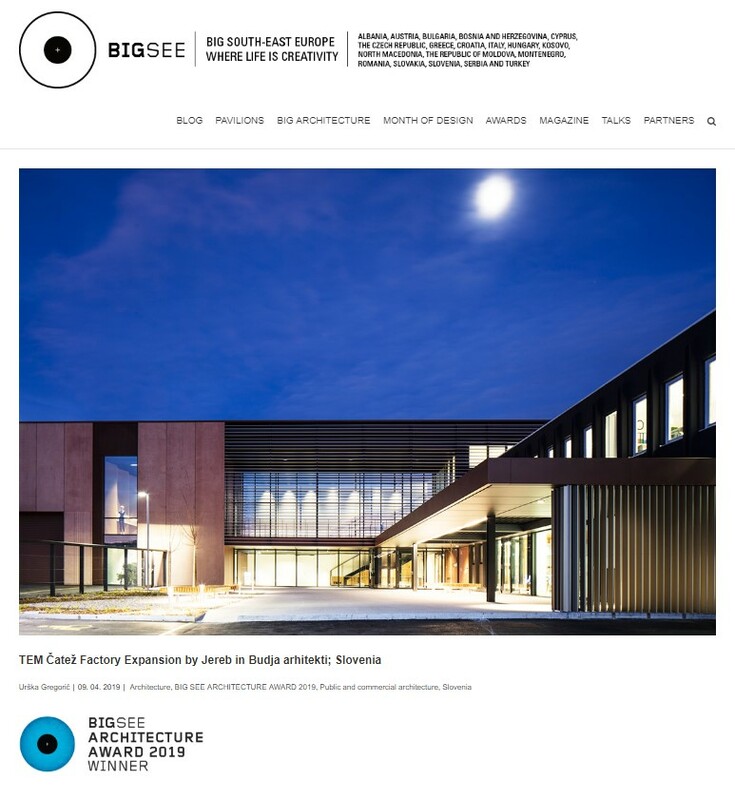 Our factory expansion awarded with BIG SEE Architecture Award 2019 - Tem Čatež d. d.
We are very proud on successful collaboration with Jereb and Budja Architects that resulted in award-winning architectural project of TEM Factory Expansion. After Golden Pencil 2018 and Plečnik Award nomination, we are pleased to announce that our new premises got BIG SEE Architecture Award 2019 for public and commercial architecture. Kindly invited to see more about our project here.